Article first published as Portuguese Expensive Bond Sale Hints Bailout Need on Technorati. Portugal’s latest bond auction was successful on Wednesday, but the yield offered for 1-year bonds has risen sharply, indicating that market is losing confidence in Portugal economy. The sale of 500 million euros worth 1-year bonds was oversubscribed by two and half times. The yield rose to 5.3%, which is too expensive for 1-year bonds. The previous sale of 1-year Portugal bonds yielded 4.8%. Moreover, some of these bonds might have been bought by Portuguese banks, funded by European Central Bank. As usual, Portugal’s Prime Minister Jose Socrates reiterated that his country did not need outside help. What his country needed was confidence in its economy, he added. S&P rating agency placed Portugal on credit watch citing its huge debt. S&P said Portugal had not done enough to increase its labour flexibility and productivity, which means, Portugal has to decrease wages of the workers. The yield for 10-year Portuguese bonds fell slightly on Wednesday, but remained at historically high level of 6.85%. However, the yield on German bunds that are considered the safest among the Eurozone countries remained at 2.67%. The difference between yield of German bonds and the yield on any particular country’s bonds is called bond spread of that particular bond of that country. This bond spread is widening day by day for the most indebted countries of the Eurozone despite huge bailouts offered to those countries. Article first published as Portugal Workers Observe 24-hour Strike against 2011 Austerity Budget on Technorati. 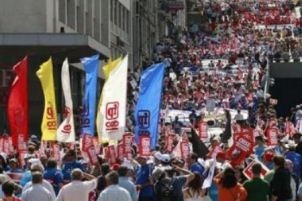 Portugal’s two main two workers’ unions’ joint call for 24 hour strike is going successful as per government and unions’ data. Rail services are paralysed from north to south of the country, with 80% of the rail services not running. Majority of the flight services are cancelled according to government sources. The Joint strike call is said to be the first in 22 years. The unions are critical of the proposed budget cuts saying it is quite unfair that only the workers have to sacrifice. They say they oppose the government’s top most priorities are only deficit, deficit and deficit. BBC news quoted the unions as saying, all of the country’s ports are closed; air traffic controllers and ground staff of airports are observing strike; bus and ferry links are disrupted; fewer than 10% of the workforce at Volkswagen’s Auto Europa plant have turned up for work. As usual, various media of the western countries from EU to the US have written negative analyses on Portugal strikes. They continued to support austerity measures and to oppose workers’ anger towards austerity measures. They failed to acknowledge the hardships to which the workers across the Europe and the North America were subjected to, even though they are not part of the problem of debt crisis and financial crises. Such an outlook can be gauzed to the ownership of all media by a few multinational media companies. Irish bailout, still not known how much is planned, failed to alley market worries as debt costs for Ireland, Spain and Portugal continued at high levels. However, most of the European share indices along with that of the US were up, with positive news from the US data. Jobless claims in the US came down slightly comparing with the previous week. Yesterday, the US revised up its third quarter growth rate from 2% to 2.5%. The yield on Irish government’s 10 year bond was 8.92%, a record level reached before the bailout talks began. Though Irish government is not going for debt sale as it is fully funded up to the first half of next year with EDB funding, it is still a matter to worry. Because, it denotes that the markets are losing confidence on Ireland’s capacity of repayment of its debt. The yield on 10 year Portuguese bond was 7.8%, which means the bond spread relative to the German bund was 4.8%. The Spanish-German 10 year bond spread recorded at 2.6% a life time high for Spain. Article first published as Portugal, Spain Worry Contagion from Ireland on Technorati. A country, which once recorded more than 30 percent GDP growth, is now threatening European Union for its liquidity problem and soaring debt costs. Though the Ireland authorities are repeatedly telling that they do not need any bailout from the European emergency fund, markets are not in a position to believe. It seems they recall the same type of confident announcements by Greece Prime Minister George Papandreou that his country only needed assurances from the EU but not monetary aid. Then, ultimately Greece had to claim the financial aid from the EU and the IMF worth 110 billion euros. Finance ministers of Portugal and Spain are worried that Ireland crisis will spread to their countries if the Ireland does not move fast to assure the markets. Portugal’s debt costs are already going up. Spain is also almost ready to follow suit. 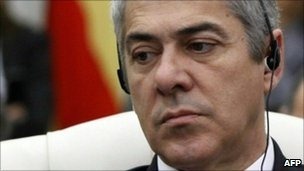 Portugal finance minister Fernando Teixeira dos Santos is quoted by BBC as urging Ireland to do the right thing for the Euro and accept bail out. Spain’s Treasury Secretary has also reportedly asked Ireland to act quickly to cool down the market’s worries about uncertainties prevailing on Ireland’s capacity of debt repayment. The success of the European Union’s bank stress tests hinges on how much detail regulators provide about the basis for their conclusions, not on the number of lenders that fail, investors said. “The more transparency, the more important that the results will be,” said Peter Braendle, who helps manage $51 billion at Swisscanto Asset Management in Zurich. “If the methodology is a black box and we just get some results that will not be very helpful.” Regulators are scrutinizing banks to assess if they have enough capital, defined as a Tier 1 capital ratio of at least 6 percent, to withstand a recession and sovereign debt crisis, according to a document from the Committee of European Banking Supervisors. Lenders that fail the trials will be made to raise additional capital. The results will be published by CEBS and national regulators starting at 6 p.m. Brussels time today. The assessors haven’t so far provided full details of their criteria raising concern among investors they will not be stringent enough. U.S. regulators published the metrics they used to test their banks before they released their results last year. U.S. bank stocks rallied 36 percent in the seven months following the trials. Governments are publishing the results of the region’s first coordinated stress tests as they seek to end concerns about the health of the banking system almost three years after the subprime crisis roiled global financial markets. The 54- member Bloomberg Europe Banks and Financial Services Index has risen 9.3 percent this month, boosted by optimism that lenders will pass. By comparison, the U.S. Standard & Poor’s Financials Index has gained about 4.7 percent. “It’s pretty clear that a lot of banks will pass this test,” said Lutz Roehmeyer, who helps manage about $15 billion at Landesbank Berlin Investment, including bank shares. “It will be more important to see what raw data will be published. With that you can create your own, more stringent scenarios.” Ten of the 91 banks being tested are likely to fail, Goldman Sachs Group Inc. analysts said in a note to clients today, citing their own survey. Analysts’ estimates for the amount of capital European banks will need to raise range from 30 billion euros ($38.7 billion), according to Nomura Holdings Inc., to as much as 85 billion euros at Barclays Capital. Investors have criticized the tests, saying they may not be rigorous enough. In particular, they are questioning to what extent regulators are examining banks’ sovereign-debt holdings, including how government bonds in the trading and banking books will be valued in the event of a sovereign debt crisis. Spain, Ireland and Greece sold almost 10 billion euros ($13 billion) of debt, with demand rising for shorter-dated securities, on optimism the European Union’s aid programs will contain the region’s fiscal crisis. Hungary raised less than planned at a sale of three-month bills, triggering a decline in the forint. Greece, which activated an EU-led bailout package in May to avoid default, auctioned 13-week bills, with investors bidding for 3.85 times the amount on offer, compared with a bid-to-cover ratio of 3.64 times at a sale of 26-week securities a week ago. Spain and Ireland also sold debt. “Overall funding pressure is losing steam,” said David Schnautz, a fixed-income strategist at Commerzbank AG in London. “We expect the peripheral markets to enjoy even more potential outperformance against the core. Obviously we still have this event risk looming with the banks’ stress tests.” Concern that Europe’s high-deficit countries wouldn’t be able to meet their financing needs pushed yield premiums to euro-era records and led the EU to design a 110 billion-euro bailout for Greece and a broader 750 billion-euro backstop for the region. The debt crisis prompted governments across Europe to impose additional austerity measures to convince investors they were serious about taming their deficits. Investors bought all 3 billion euros ($3.8 billion) of 15-year bonds offered by Spain, with demand strong enough to ease concern the nation would struggle to cover debt payments after Greece’s bailout. “The Spanish auction went well,” said Chiara Cremonesi, a strategist at UniCredit Research in London. “Appetite for Spanish paper is alive.” Spain, which has to repay 24.7 billion euros of debt this month, has the third-largest deficit in the euro region and its banks are dependent on the European Central Bank for funds. Prime Minister Jose Luis Rodriquez Zapatero, risks losing power as he pushes through austerity measures including cutting workers’ wages, freezing pensions and reducing severance pay. Today’s auction raised the maximum offered at an average yield of 5.116 percent, compared with 4.434 percent at a sale of the same securities on April 22, the Bank of Spain said. Demand was 2.57 times the amount sold, compared with the bid-to-cover ratio of 1.79 in April. Spanish bonds rose and the euro strengthened. The government is hoping the publication of stress tests next week will allow its financial institutions to access capital markets. Spanish lenders borrowed a record 126.3 billion euros from the ECB in June, up 48 percent from the previous month, according to data compiled by the Bank of Spain. That compares with a drop of 4 percent to 496.6 billion euros for euro-area lenders as a whole. The yield premium investors demand to hold Spain’s 10-year debt over comparable German bonds fell to 199.6 basis points after the auction, from 211 basis points earlier. The euro gained 0.4 percent to 1.2792 against the dollar. “People who expected the end of the world in July because of the redemptions have been proved wrong,” said Gianluca Salford, a fixed-income strategist at JPMorgan Chase &amp; Co. in London. Spain’s auction follows Greece’s sale of Treasury bills on July 13, its first since the country accepted a three-year bailout plan from the European Union in May after its borrowing costs surged. 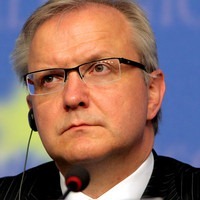 Greece secured an interest rate at that sale below the 5 percent charged on the emergency European loans.